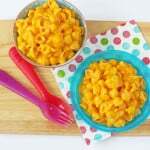 In my house mid-week meals need to be quick, easy and kid-friendly too. The last thing I want to do at the end of a busy day is to battle with my picky eaters over dinner so I try to make their evening meals as appealing as possible, whilst also being healthy and filling too. 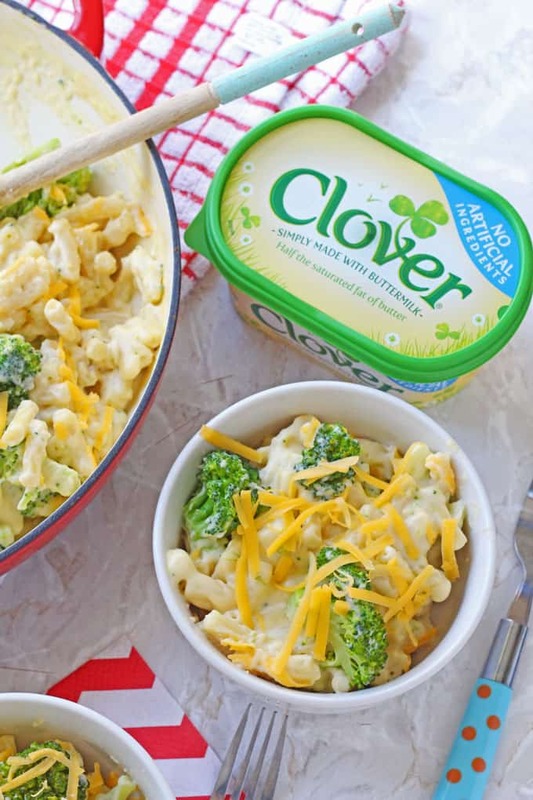 And a new favourite of mine is this Stovetop Broccoli Mac & Cheese! Nothing beats the comforting taste of macaroni cheese. Made with just a few simple ingredients that I always seem to have on hand, it’s so quick to whip up. In my recipe I add some broccoli to make sure that I can get some veggies in. 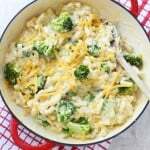 I know broccoli is not the most kid-friendly vegetable but when its mixed in with all that lovely cheesy pasta sauce, my kids are way more likely to eat it! You could also add in other quick-cook veggies such as peas or sweetcorn. For the delicious creamy sauce I used Clover. Made with buttermilk, it contains absolutely no artificial ingredients and has only half the saturated fat of butter. It adds a really lovely buttery taste to the simple roux without any added nasties, making it the perfect ingredient for a simple family meal like this. 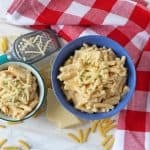 I know the traditional Mac & Cheese is finished off in the oven but my version is just cooked just on the stovetop to keep it as quick and as simple as possible. When you’re in a rush to get dinner on the table you don’t want to be faffing around with an extra cooking step and another dish to wash! Feeding our families is always such a tricky balance between filling and delicious meals they they will actually eat and recipes that are quick and easy to make when time is short. 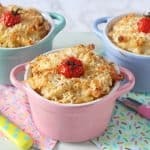 This Mac & Cheese ticks all those boxes for me and I hope you enjoy it too! A super easy and delicious family meal ready in less than 15 mins. 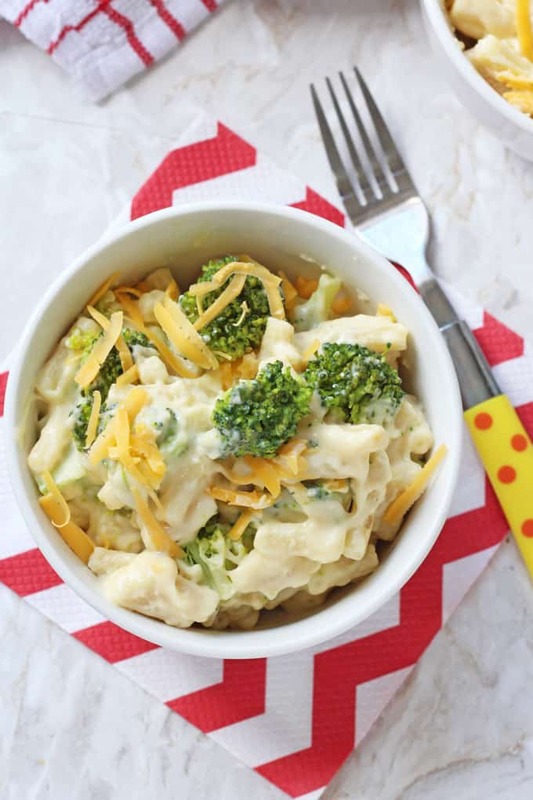 This Broccoli Mac & Cheese is sure to be a new family favourite! Cook the pasta accordingly to the package instructions. 4 minutes before the end add the broccoli florets to the same pot. In another large saucepan or pan melt the butter over a medium heat. Add in the flour and stir quickly until well combined. Cook this for 1 minute and then whisk in the milk a little at a time. Cook this sauce for 3-4 minutes until it has thickened up. Add the dijon mustard and cheese and remove from the heat. 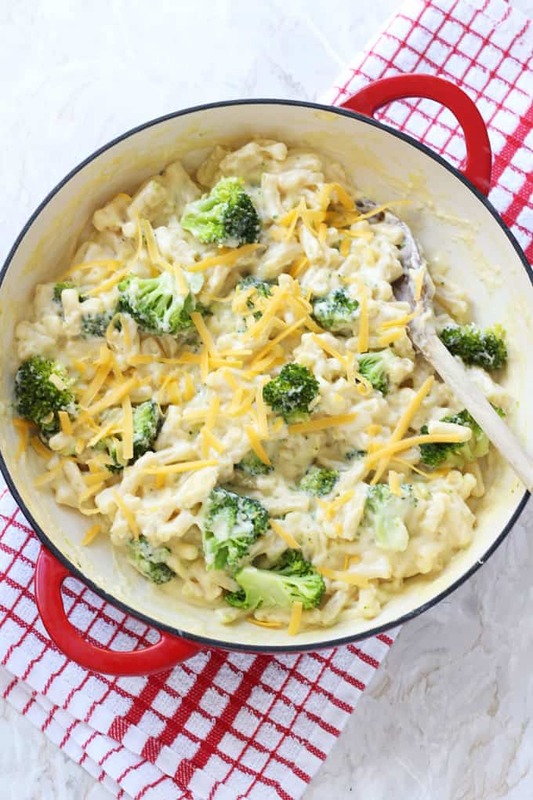 Drain the pasta and broccoli and add it to the pan with the cheese sauce. Mix well and serve immediately. 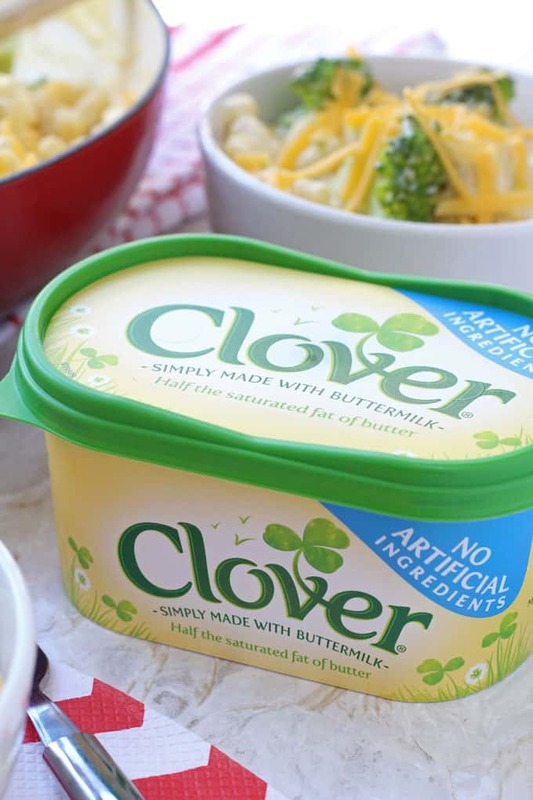 DISCLOSURE: THIS POST HAS BEEN PUBLISHED IN COLLABORATION WITH CLOVER AND I HAVE BEEN COMPENSATED FOR MY TIME INVOLVED IN THE CAMPAIGN. ALL VIEWS AND OPINIONS ARE HOWEVER MY OWN. This was delicious. Definitely making it agin. Great recipe thank you my fussy eater is actually eating it ???? Me and hubby love it too ???????? That’s brilliant!! Its such a relief when you find recipes that your family actually eat!! Im always in the same boat!! Thanks Emma, its a big hit in my house! Thanks Emily, its the best comfort food isn’t it! That actually looks really good! Good way to get the veggies in!